I hope you've been enjoying the Brighton & Hove Food and Drink Festival’s ‘Spring Harvest’ this year. I've been stuck at home in a newborn haze of nappies and cuddles but been stalking the events on Twitter! The Food Lab hosted at 64 Degrees looked particularly amazing. Anyway, there are a few more events this week which end with 3 days of free foodie events on Hove Lawns. The Children’s Food Festival’s Big Day Out – the largest free entry children’s food event ever to be hosted in Sussex – takes over the festival site from 10am - 4pm on Friday. Featuring hands-on workshops from the likes of Curry Leaf Café, Moshimo, Chocoholly, My First Word nursery and Beach BBQ alongside activities from Southern Water and the festival’s famous Wobblympics apple juice challenge. The team from Dental Health Spa will be showing children the importance of good teeth and gums, whilst Rockinghorse Children’s Charity will be doing badge-making and cupcake decorating. Yelo Architects have teamed up with Fareshare – the surplus food redistribution charity – in the Waste Not, Want Not area, building an interactive installation featuring practical decorative items such as lampshades and bowls made from recycled Moshimo chopsticks and Boho Gelato spoons. On the Live Food Show stage there’ll be performances from Whizz Bang Pop and the Great Baffo chef. Friday is also the last day of public voting for the annual Great Brighton Ice Cream Contest. 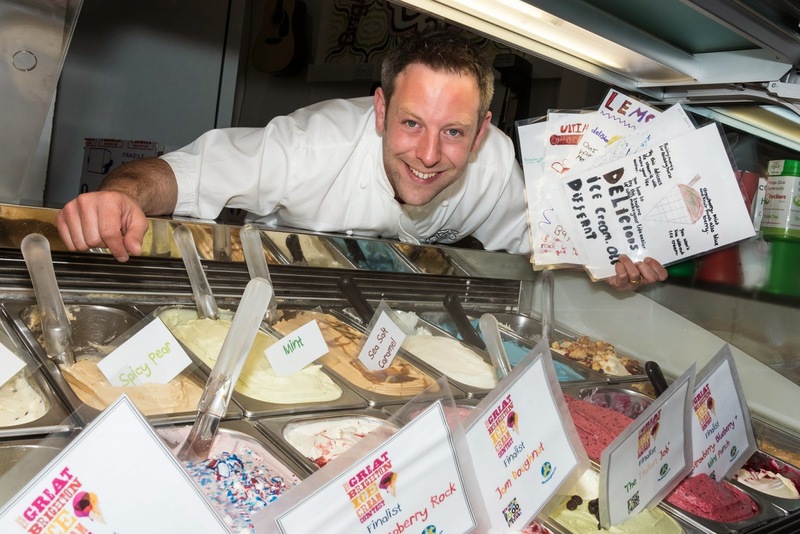 Local school children have been designing exciting ice cream flavours and Seb Cole of Boho Gelato in Pool Valley has chosen five finalists; the one that sells the most by 4pm on Friday will be declared the winner and be available to buy from his store across the summer to raise money for Rockinghorse. Seb will also be sampling a world-first: colour changing ice cream! The Sussex & The World Weekend begins 10am on Saturday 30 May with over 110 food and drink stalls representing the very best of Sussex alongside carefully selected international cuisine including the Taste of St Lucia and Taste of Guernsey areas. Local drink will be represented by Butlers Wine Cellar, Ridgeview Wine Estate, KingBeer, Blackdown Artisan Spirits and Wobblegate Cider, whilst Mixology Group will be giving the festival a Caribbean vibe in the Rum Shack. Andrew Kay presents the Live Food Show stage with 14 top chefs including Michael Bremner of 64 Degrees, Semone Bonner and Dan Kenny of The Set, Jeremy Ashpool of Jeremy’s Restaurant at Borde Hill and many more. The fun also continues for children with more free workshops and craft activities. 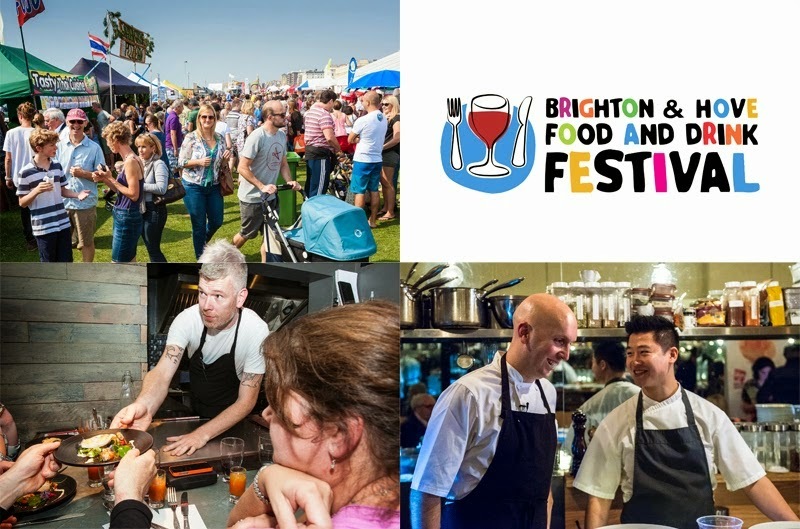 There’s plenty of food and drink fun in the evening with the festival’s Make Your Case punk wine tasting on Thursday night, an English wine and canapé matching event on Friday night, and the Brighton Beer and Cider Festival on both Friday and Saturday evenings. Saturday afternoon also sees a two sessions of a ticketed wine festival in the marquee with over 100 English and world wines to sample.